Northern lakes will soon be covered in ice, which means this is the time to start planning your trips to these eight top ice fishing destinations. There are hundreds of spectacular ice fishing lakes throughout the Midwest and Northeast, but here are the best of the best, which every serious ice angler should plan to visit. This vast expanse of water, or ice, on the Minnesota-Ontario border is one of the top fisheries in the country, but it is especially good during the winter months. Whether you are aiming for jumbo walleyes, northern pike or lake trout, Lake of the Woods, which boasts more than 65,000 miles of shoreline, offers an experience you will not soon forget. The Minnesota side of the lake is fantastic for walleyes and northern pike, while the northern sections in Ontario offer unforgettable lake trout angling. Located in eastern North Dakota, Devils Lake is an ice fishing paradise, when it comes to catching jumbo yellow perch. This lake, which covers more than 3,800 square miles, not only produces incredible numbers of perch, it also offers some of the biggest perch you can catch anywhere. Perch 2 pounds and bigger are not out of the question. Devils Lake also offers exceptional walleye and northern pike angling. Not only is Lake Winnebago the largest lake in Wisconsin, it is also one of the most popular ice fishing destinations in the Midwest. The lake is renowned for its monster lake sturgeon, but it also claims exceptional winter angling for walleyes and perch. Located near Toronto, Lake Simcoe is the home of the Canadian Ice Fishing Championship, and for good reason. The lake offers exceptional perch fishing, but is also known for its northern pike, lake trout and whitefish angling. Simcoe is often billed as Canada’s most popular ice fishing destination. Thousands upon thousands of anglers fish it each year. Located in Michigan’s Upper Peninsula, Lake Gogebic has a rich tradition as a phenomenal destination for winter perch and walleye fishing. The largest lake in the U.P., Gogebic produces well throughout the winter months and is the gem among Michigan’s numerous ice fishing destinations. Another Minnesota hot spot, this massive, shallow basin is home to some of the best ice fishing available anywhere. Red Lake is renowned for its excellent walleye and crappie fishing, which attracts thousands of anglers each winter. No list of ice fishing destinations would be complete without mentioning Vermont’s Lake Champlain. 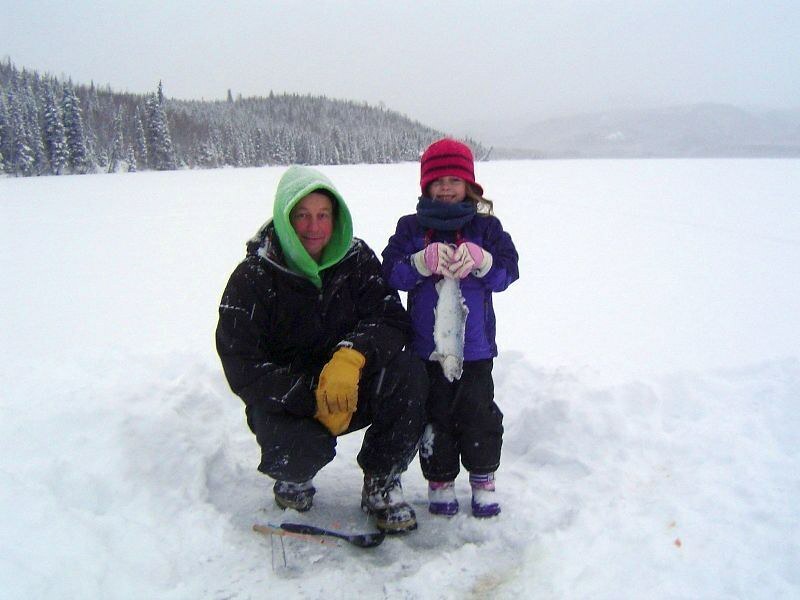 The size, number and variety of species available on the lake make it an ice fishing paradise. Anglers can catch northern pike, walleyes, lake trout, salmon and jumbo panfish in high numbers, throughout the winter season. Compared to other the lakes on this list, South Dakota’s Waubay Lake is tiny at just 1,600 acres, but it has gained a reputation and an amazing ice fishing destination. The main focus at Waubay Lake is its exceptional walleye fishing, but it also offers big perch and crappies.